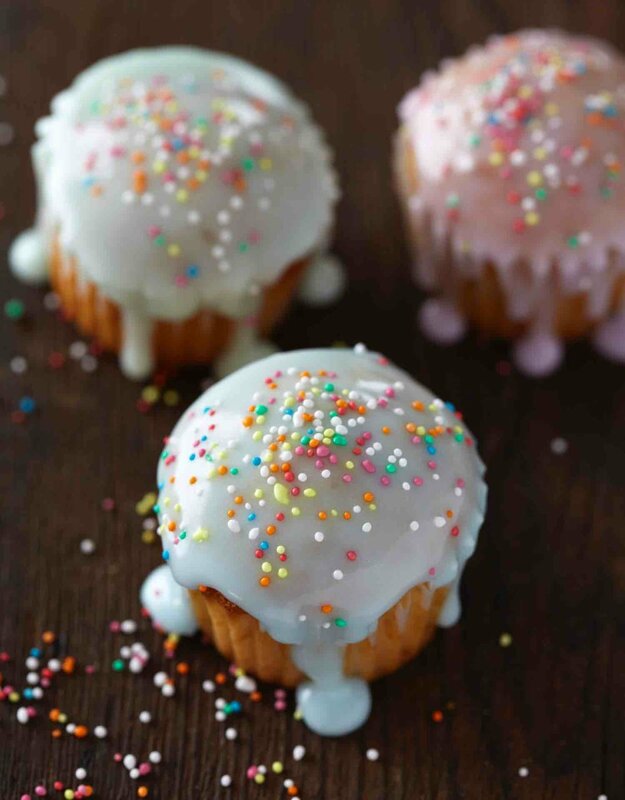 Mix the icing sugar and water until a smooth paste of pouring consistency is formed. You may need to add a little more water, but only add a drop or 2 at a time and remember food colouring also contains liquid. Colour your icing to the desired colours and use to decorate your favourite mini/ or big cupcakes, topped with 100’s and 1000’s.